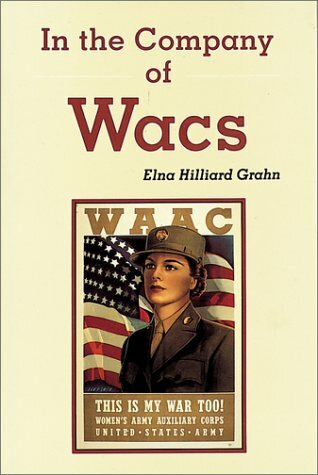 Major Hilliard openly states at the introduction that this book is her memories of events that happened over the course of 1942-1946, while she was a member of the WAAC/WAC. Her recollections are easy to read and filled with interesting details to the organization and operations in which she served. Elna was never stationed overseas and spent much of her service time in Washington D.C., where initially she was involved in classified operations related to defense of the capital in the event of enemy bombing. Evidently, she had a reputation for getting things done. This made her admired by some and hated by others; her memories and stories relate both side of this. She unapologetically owns her demeanor and is obviously (and rightly in my opinion) proud of her accomplishments. Although not ETO-related, the book provides interesting perspective on the living arrangements, job assignments and interpersonal relationships that developed among the WAC…most attention is spent on the units of South Post, Washington D.C. where she spent the majority of her time. The book is an easy read and I found it quite interesting. The many photos interspersed among the pages were also enjoyable. Finally…her desire to do things right and get things fixed even if it meant ruffling feathers, and appreciation for beauty and creative outlets, assured me that she was a kindred spirit. I had the pleasure of writing to Elna and we had nice correspondences back and forth. She would write long letters and I have them in my copy of this book. She also showed a sense of humor!